We are seeking for a C++ Software Engineer for our (ESET Security Management Center) team in Žilina. The ESET Security Management Center team develops the new generation of a security management console enabling remote monitoring and orchestration of security product settings on tens of thousands of physical and virtual computers and mobile devices on all the main software platforms (Windows, Linux, macOS, iOS & Android). Solution is provided as an on-premise software and as a cloud service). What does working as Software Engineer entail? The ESET Security Management Center team develops the new generation of a security management console enabling remote monitoring and orchestration of security product settings on tens of thousands of physical and virtual computers and mobile devices on all the main software platforms (Windows, Linux, macOS, iOS & Android). Solution is provided as an on-premise software and as a cloud service. 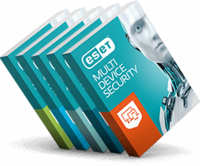 The product we develop is a core element of ESET offering for corporate clients. It is used daily by thousands of IT professionals in enterprise and small and medium business. Even leading multinational corporations with the most known brand names are among our customers. We are transitioning from development of standalone management server applications towards highly scalable cloud applications. We work with the leading providers in the respective fields (AWS, Azure ...). We are working in various areas, which are gradually expanding and innovating so everyone can find a topic which he can find interesting for his future career growth. We welcome your own experience that would influence how we do things. Are you smart, open minded and willing to learn something new? Are you familiar with modern principles of software design patterns, and development approaches? Are you interested in designing of cloud applications for both public and private cloud? Do you find containerized applications interesting? Is scaling software for unlimited scalability attractive to you? Do you want to get your career boost in one of the leading security software companies in the world? Then this is for sure the right job for you! Depending on the work position and your preference, you can participate in the analysis, design and implementation of our new solutions. We are a great team, so you can be sure to find a partner for discussions of any kind. You can use your potential and bring something new. During the development, you will work with other departments too where you will find many inspiring and interesting people. We work in the ESET global HQ in Bratislava and Žilina office and cooperate with our colleagues in other offices located worldwide.